An Antarctic cruise ship carrying 122 passengers and crew started to take on water and leak fuel after it ran aground Thursday, an Argentine naval official said. Admiral Daniel Martin told local television a nearby passenger ship was on its way to the stricken Panamanian-flagged vessel, called the Ushuaia. He said none of the boat's passengers had been injured. "We've received information from the captain of the Ushuaia that the boat is grounded ... with a minimal amount of water coming in and some fuel loss," Martin said. 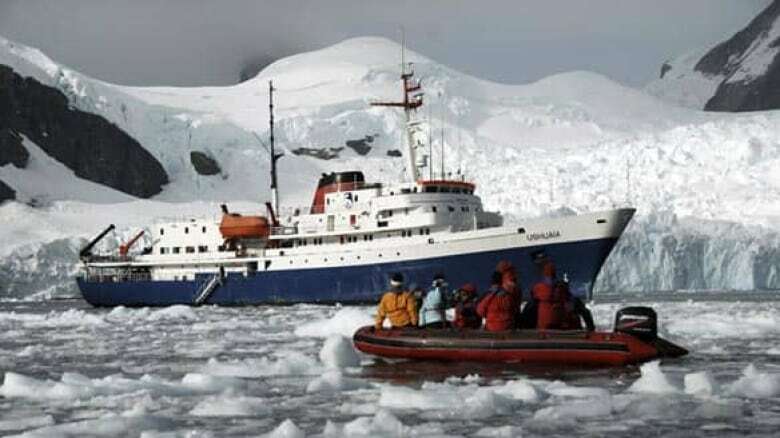 He said the ship lay some 300 kilometres southwest of Argentina's Marambio military base on the Antarctic Peninsula. Cruise travel has grown in Antarctica in recent years, with tourists paying thousands of dollars to see towering icebergs, seals, whales and penguins. A year ago, more than 150 crew and passengers, many of them elderly, escaped unhurt in a dramatic rescue after their cruise ship hit ice off Antarctica and sank.